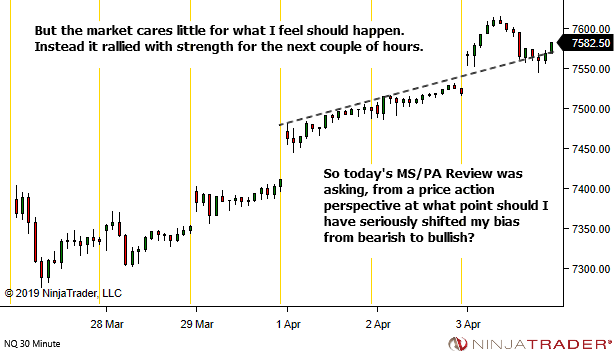 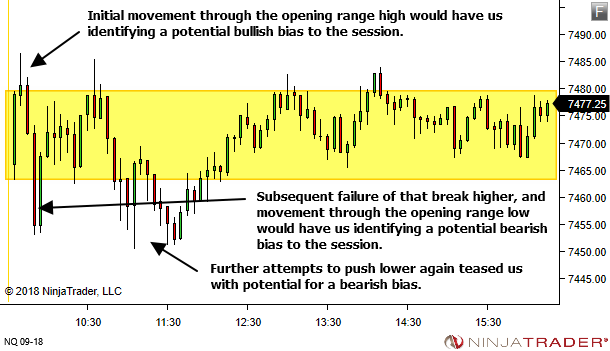 I had no plans to continue this recent topic on use of the opening range to provide a quick and simple assessment of "bigger picture" session bias. 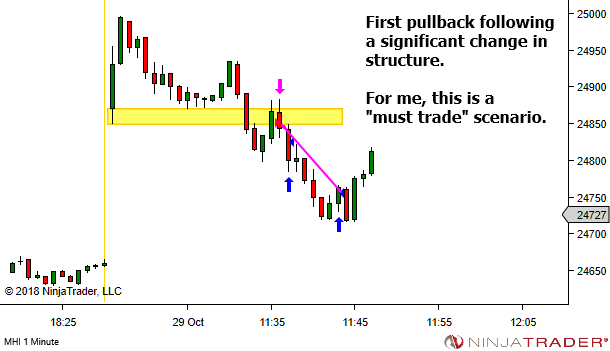 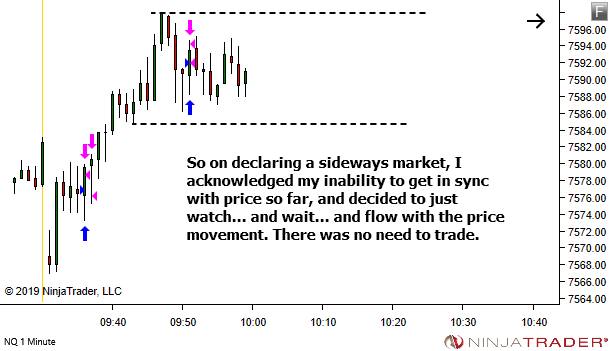 But I had a few traders ask how it should be applied to the forex markets. 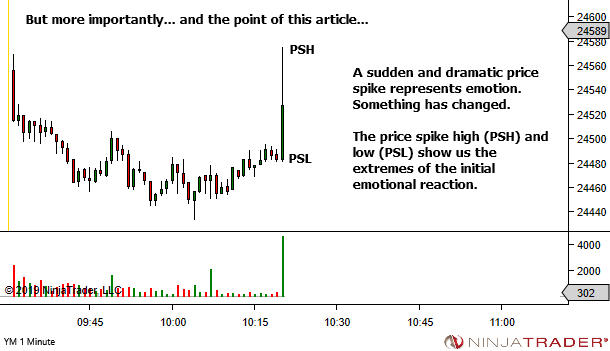 You can see the two prior articles here, if you missed them. 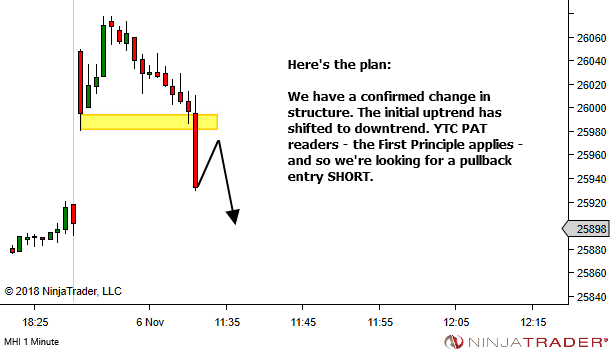 The first introduces the concept. 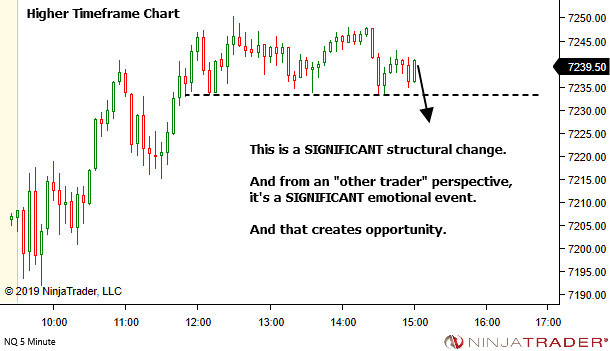 The second expands upon the concept with some additional detail. 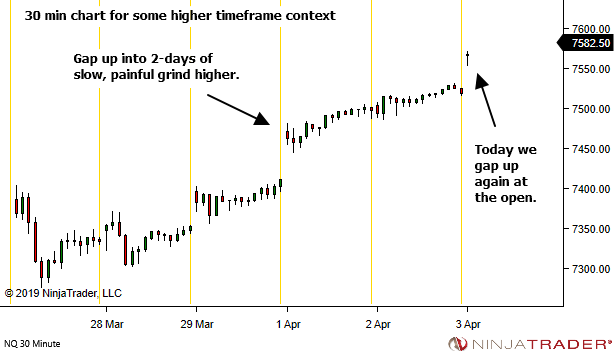 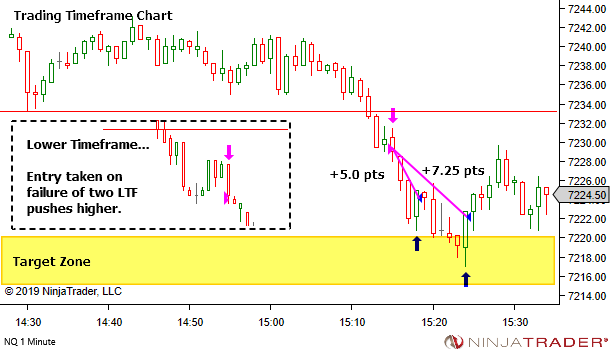 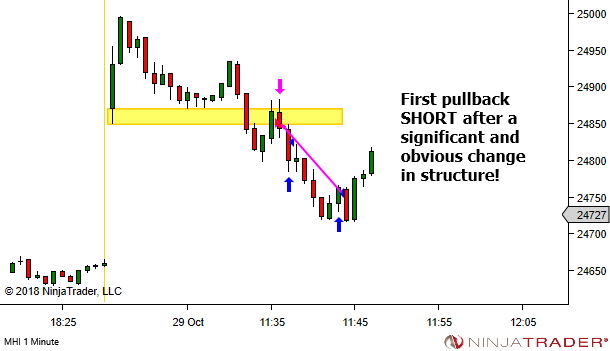 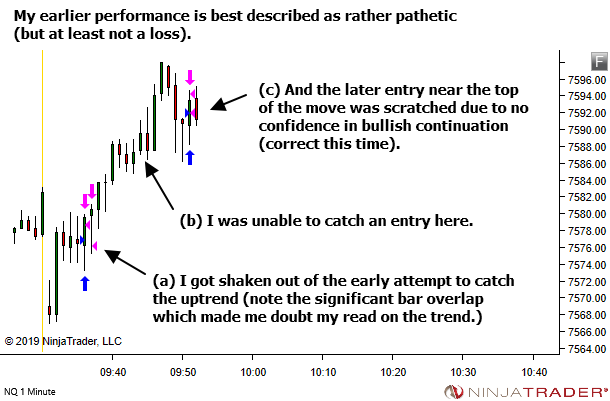 All examples from these prior articles were from the futures markets, with the opening range defined by the first 5 minute candle from the 0930 open. 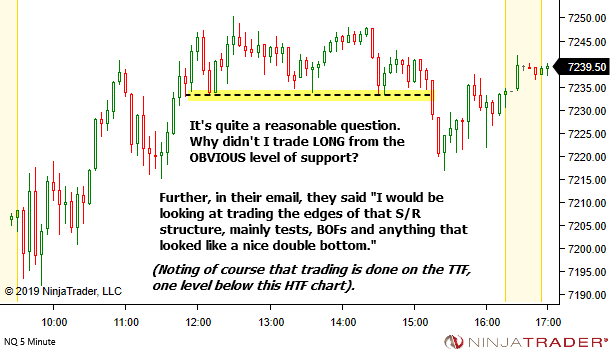 So what do we do in the 24 hour spot forex markets? Set the opening range at whatever point is most relevant to the dataset you're trading. 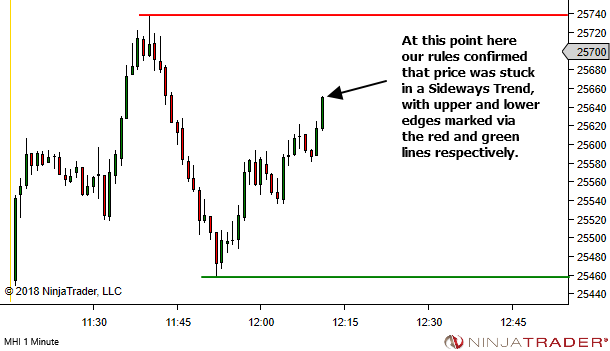 Let's look at some examples. 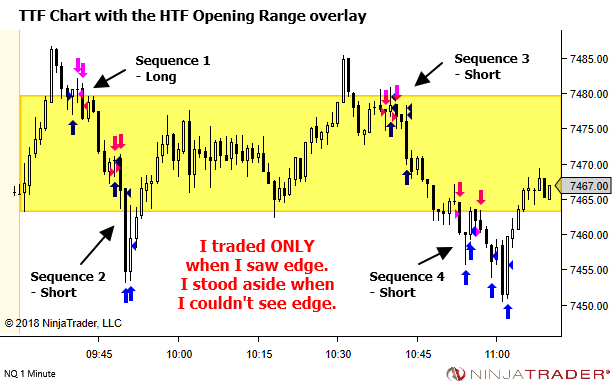 As we do so though, please note that I will not be marking up these charts beyond simple positioning of the opening range. 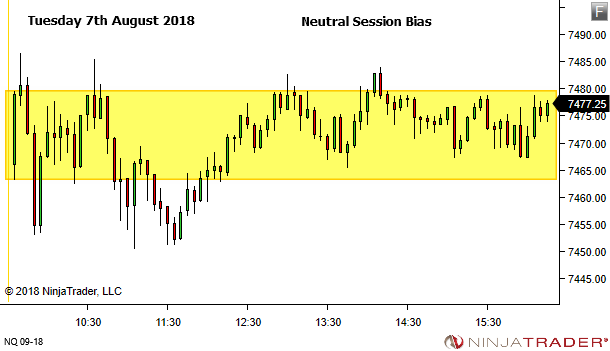 This will allow YOU to analyse the charts to identify the directional bias (if any) plus assess the ease with which price moves from the opening range (if at all). 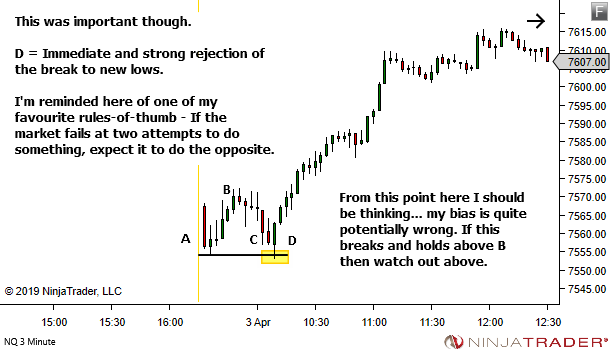 And put some thoughts towards how tactics might vary to best suit these conditions. 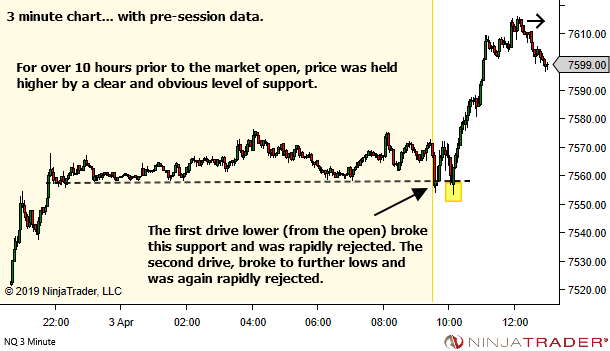 If you missed the prior articles, again I recommend you refer to them first, via the links above. 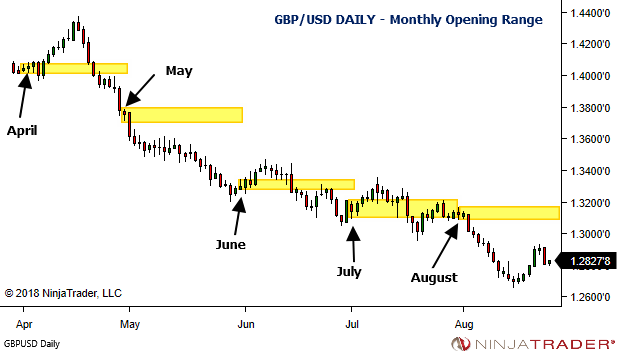 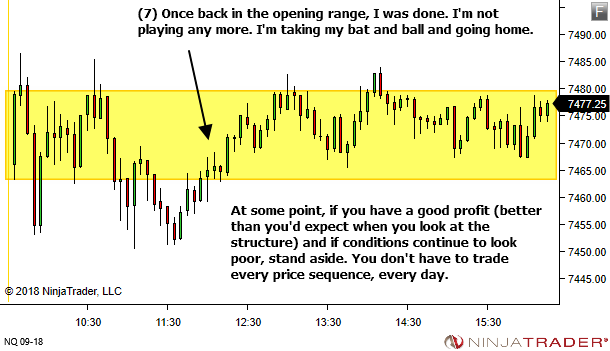 Those trading daily or 4-hour charts might like to use a monthly opening range. 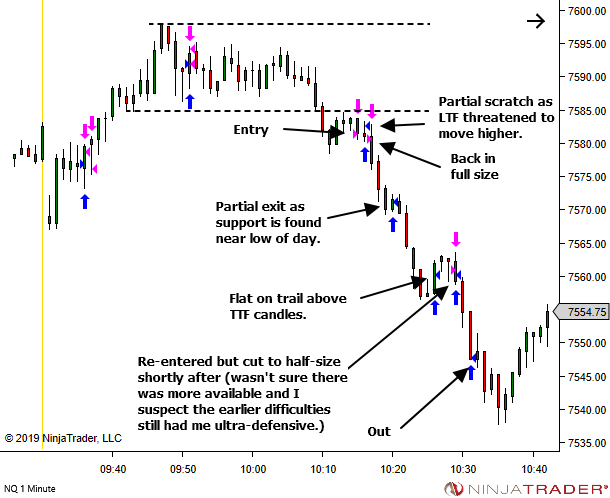 Simply take the first daily candle of the month and extend it forward. 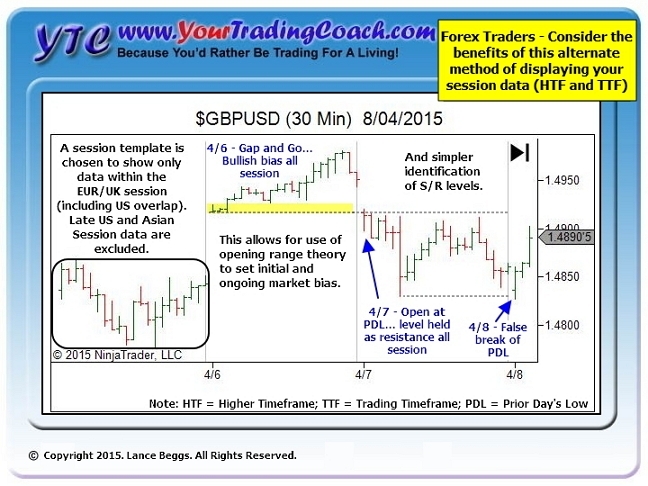 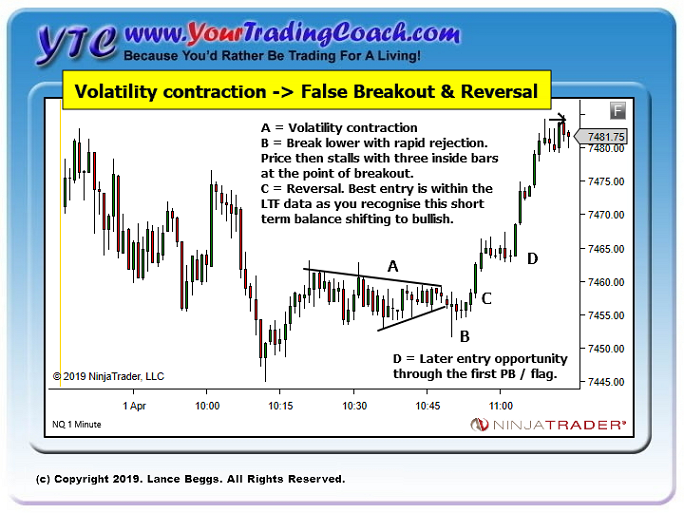 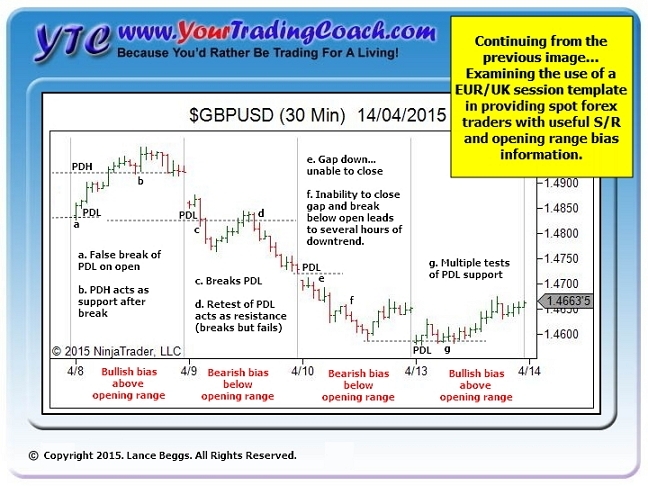 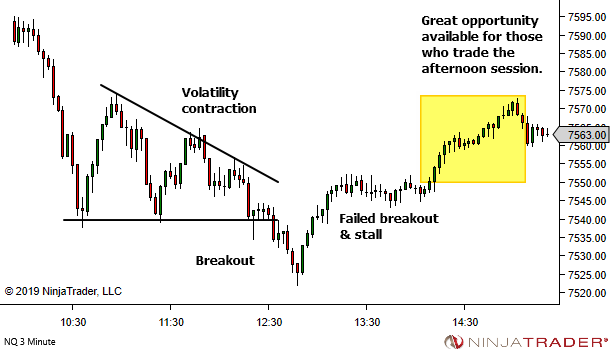 Those trading 4-hour, 1-hour or 15-minute charts might like to use a weekly opening range. 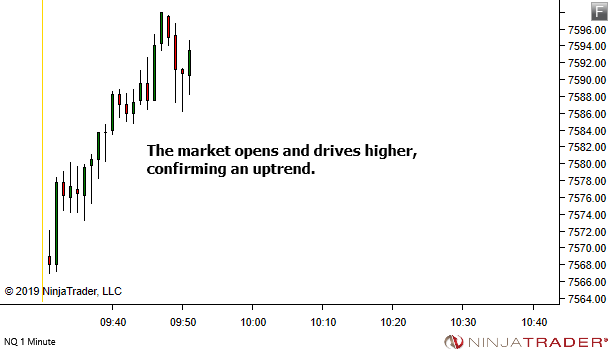 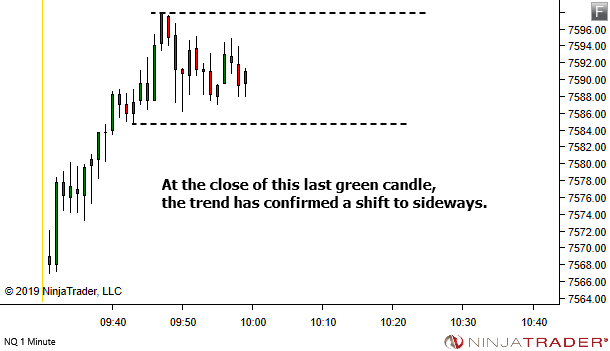 Simply take the first 4-hour candle of the week and extend it forward. 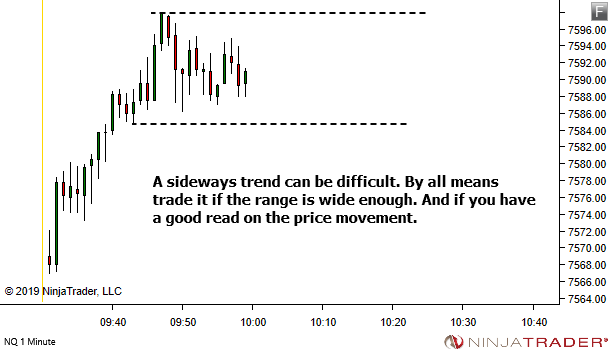 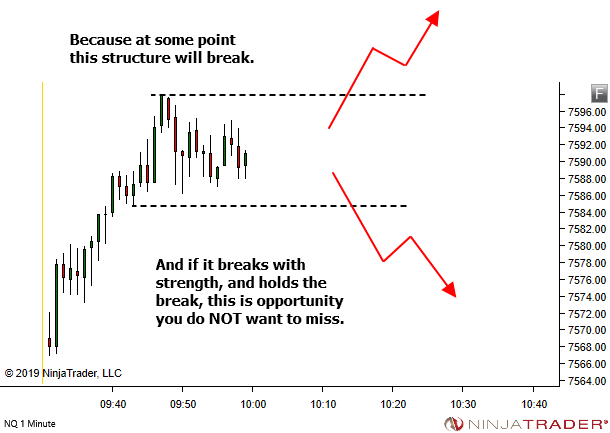 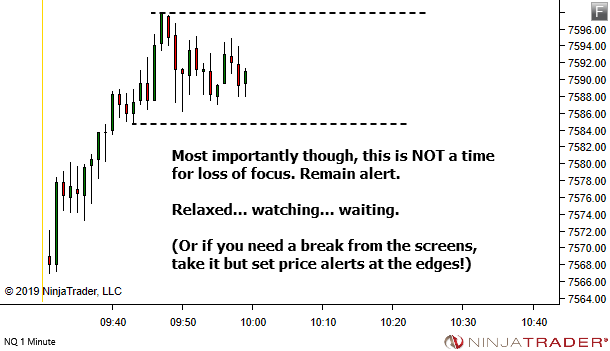 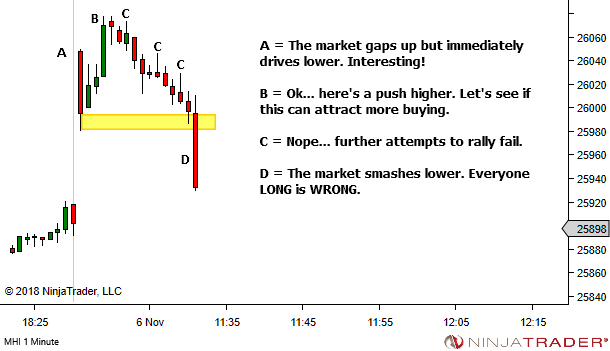 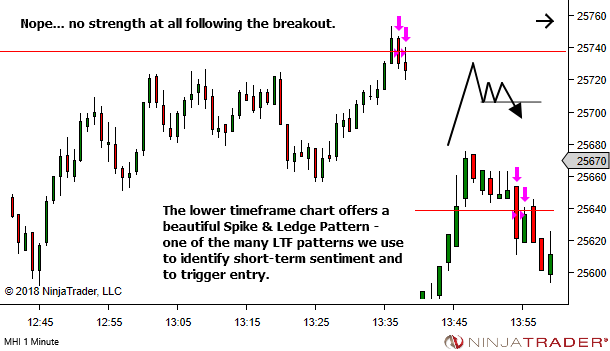 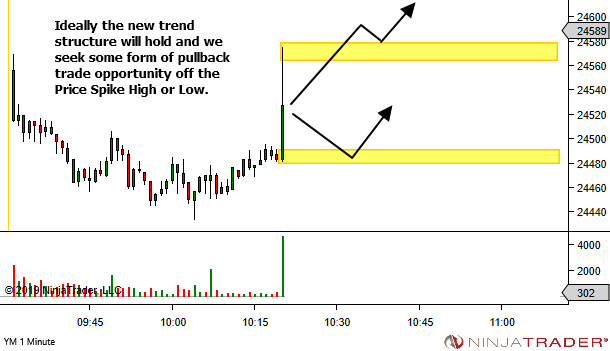 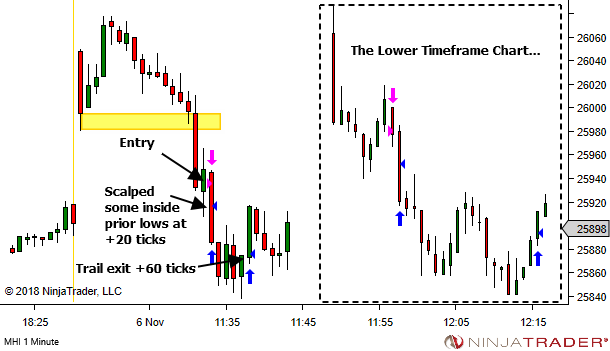 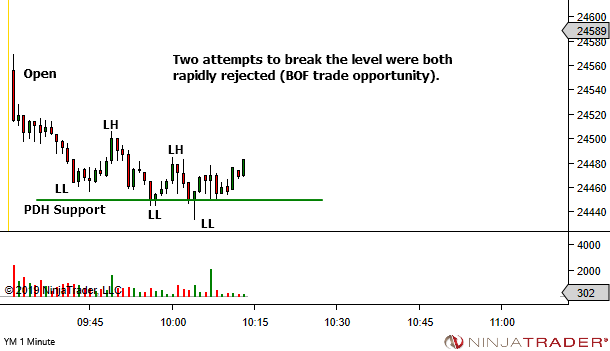 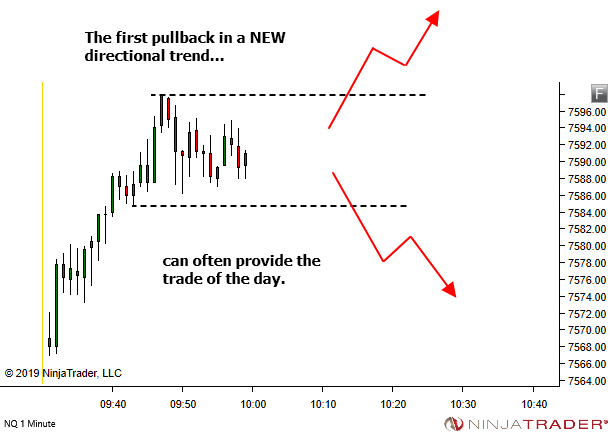 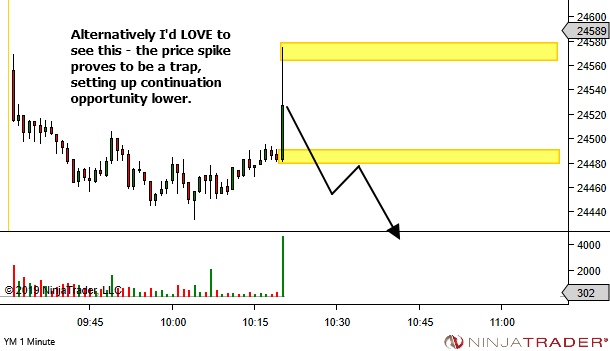 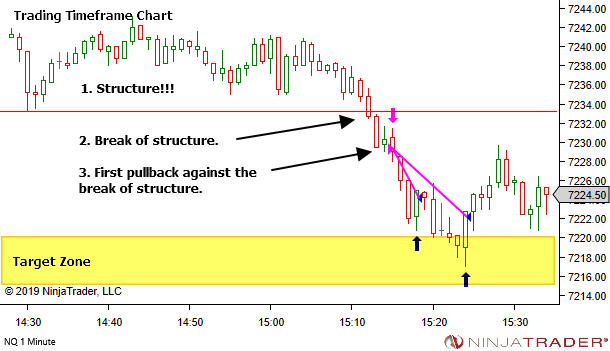 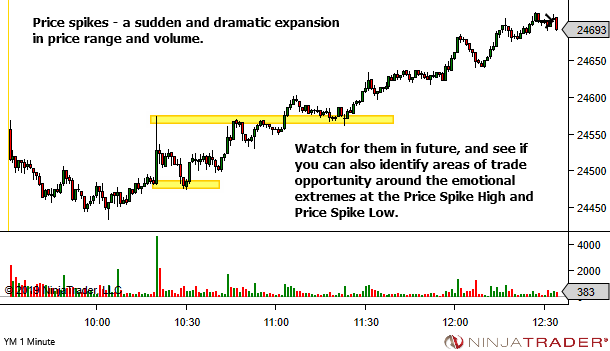 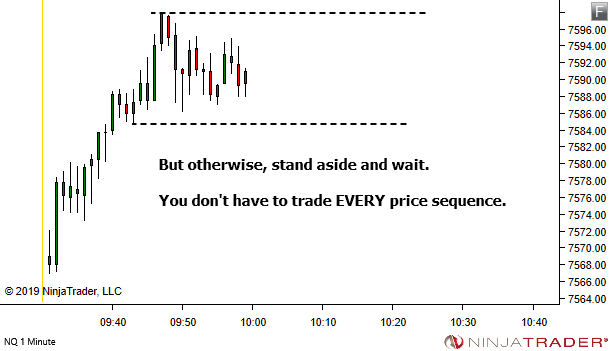 Those trading 1-hour charts or lower might like to use a daily opening range. 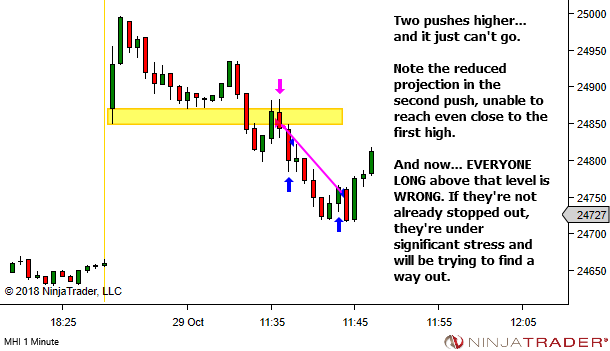 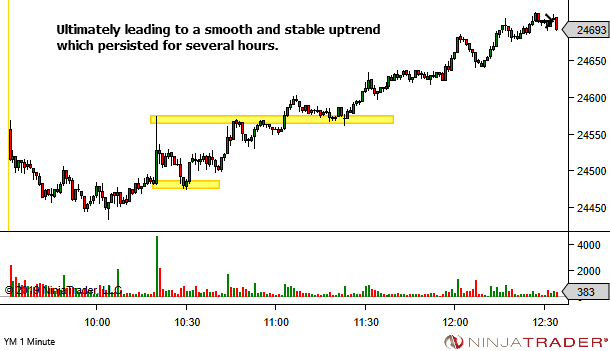 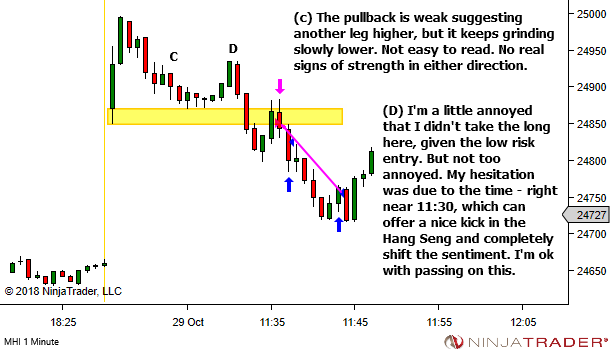 Simply take the first hourly candle of the day and extend it forward. 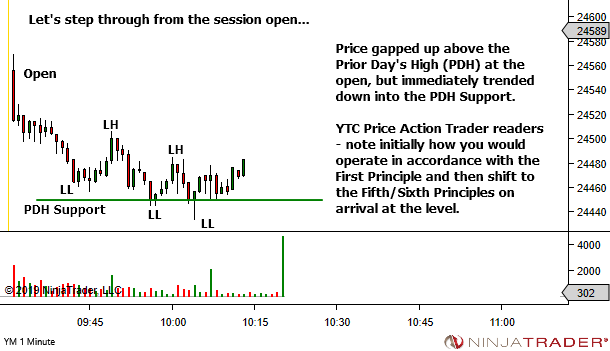 I've chosen to start the day from the Asian Session open. 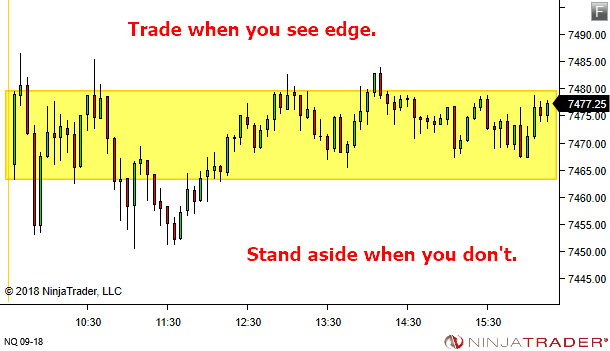 Adjust to whatever might be relevant to your trading. 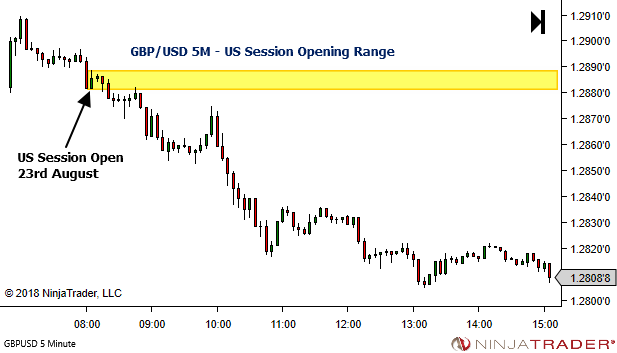 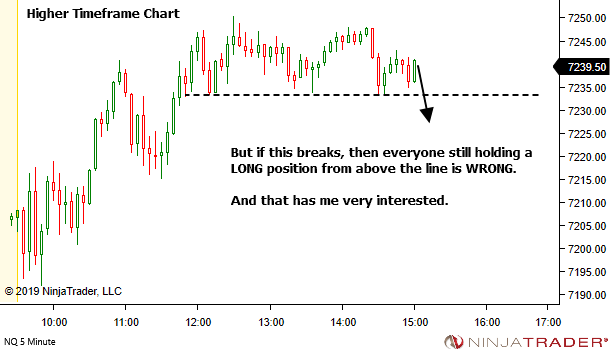 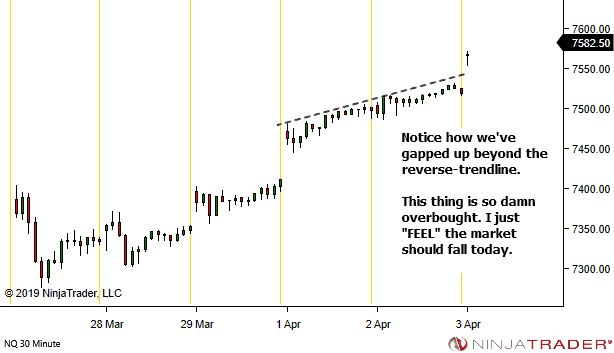 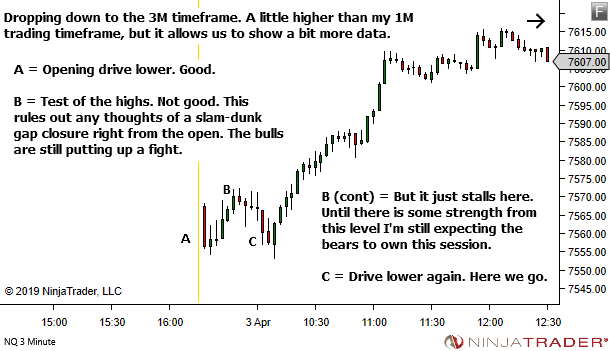 Lower timeframe traders (maybe 5M or 1M) might like to break the day down even further, into individual sessions. 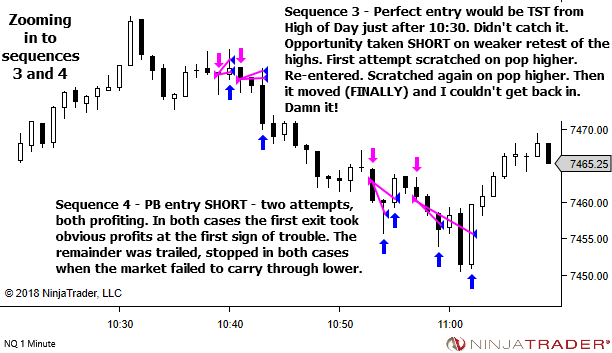 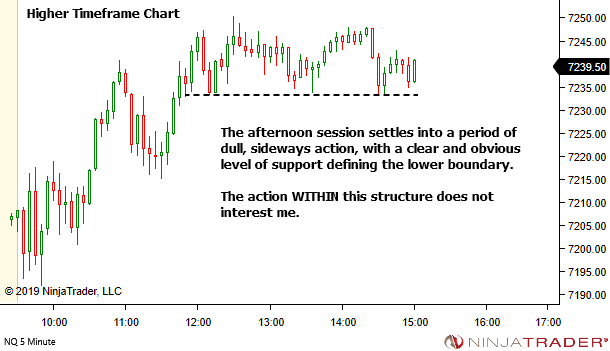 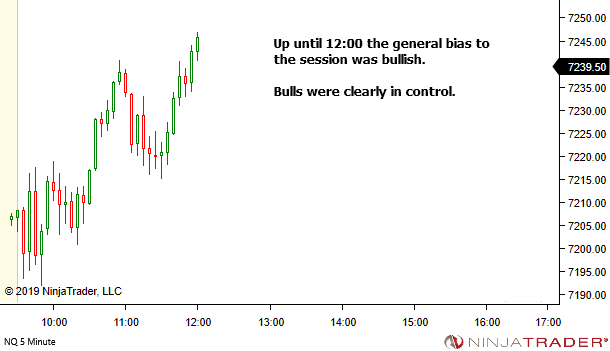 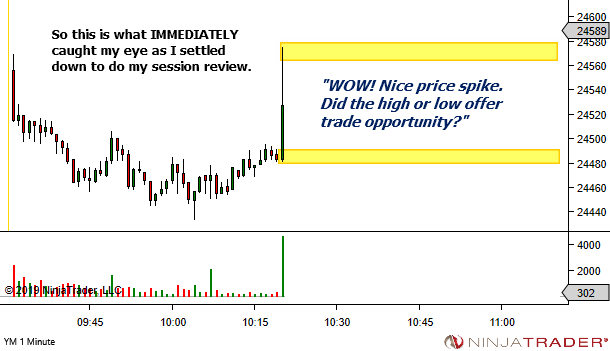 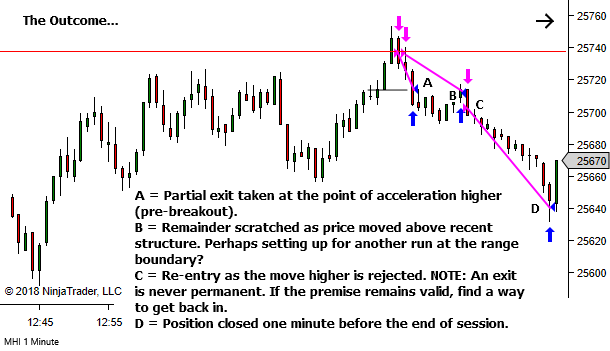 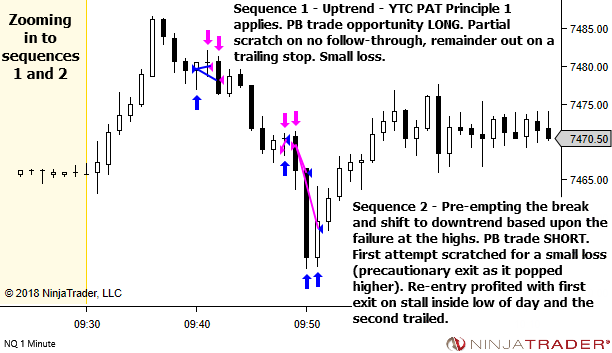 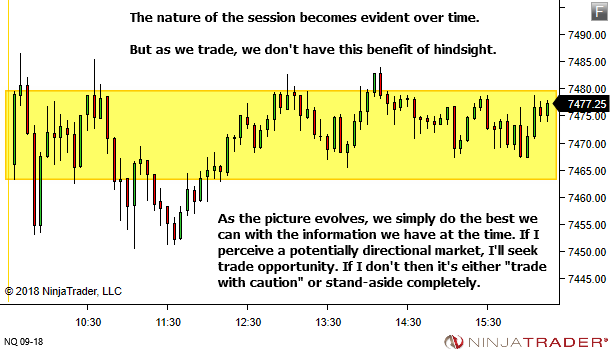 Again, take the first 5-minute candle of the session and extend it forward. 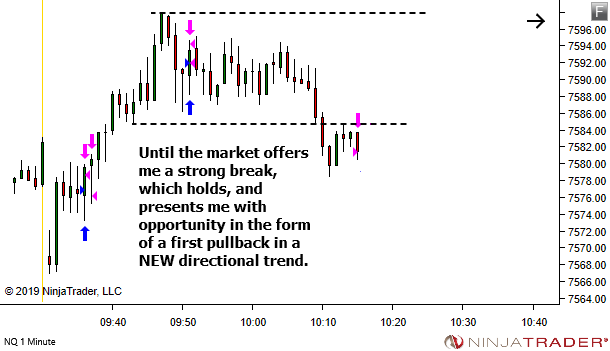 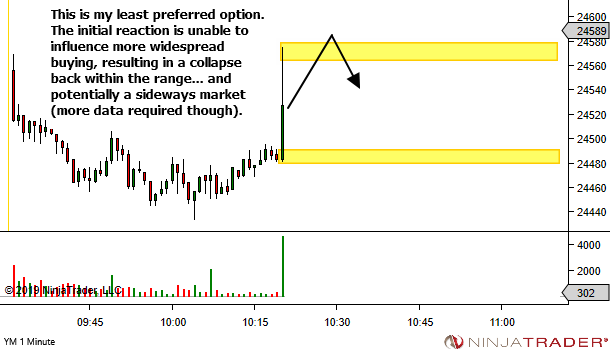 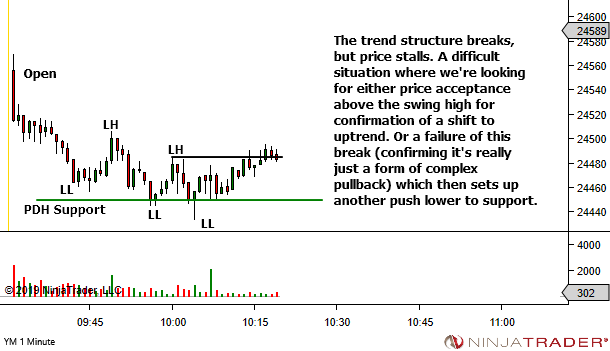 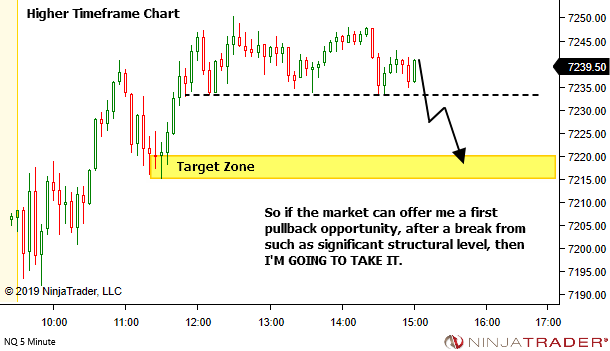 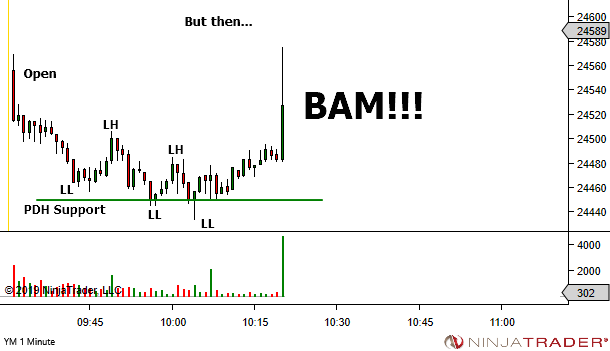 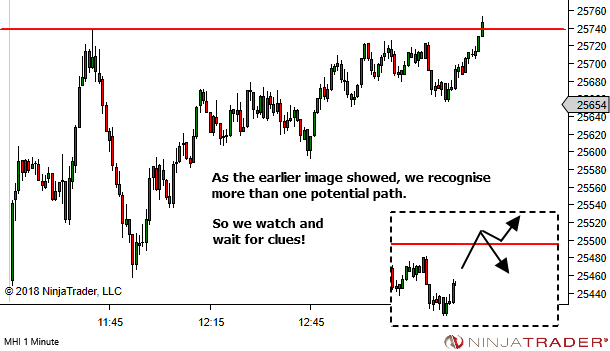 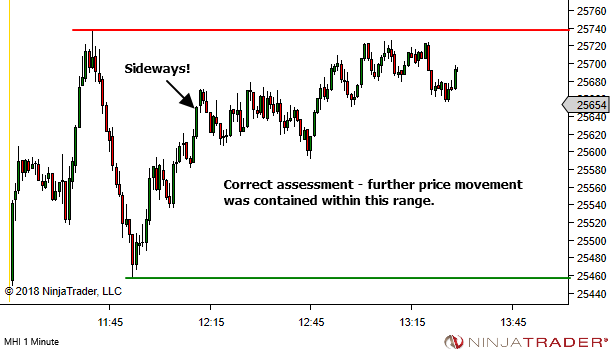 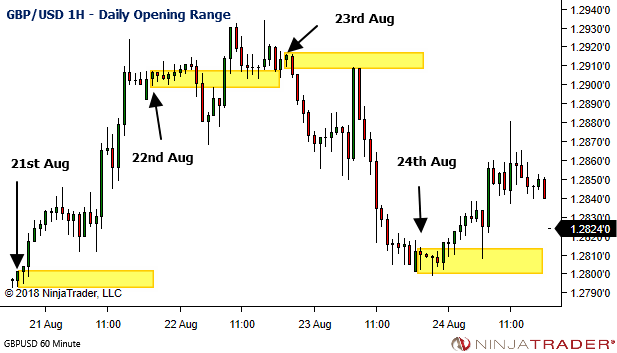 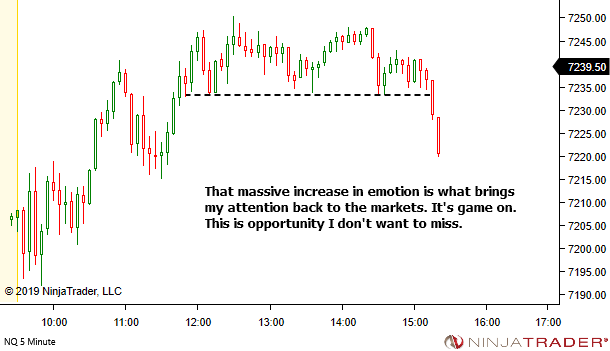 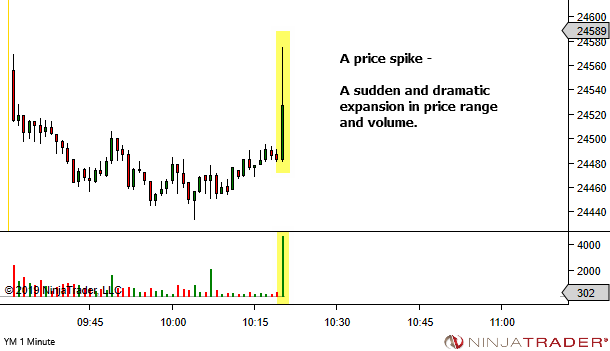 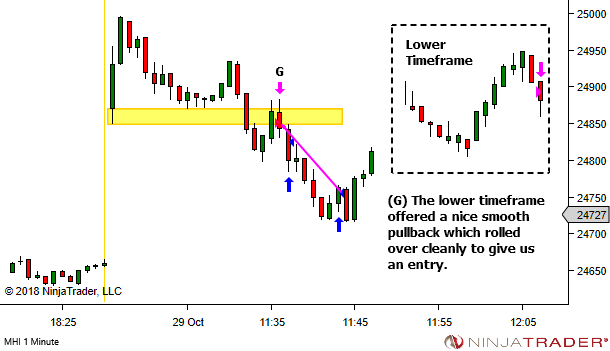 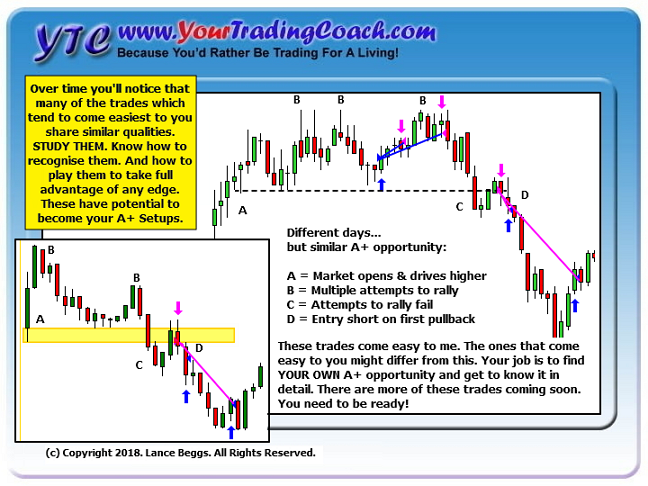 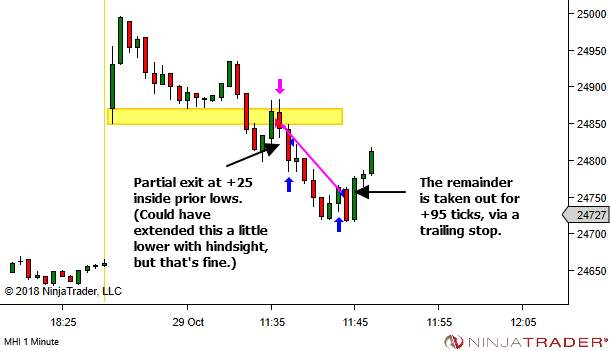 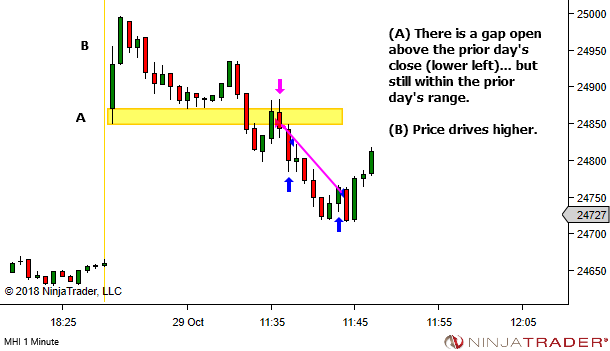 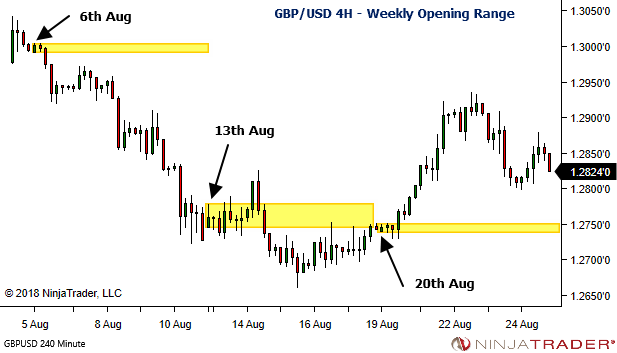 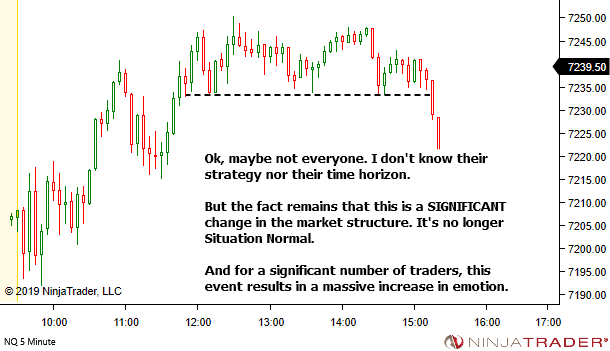 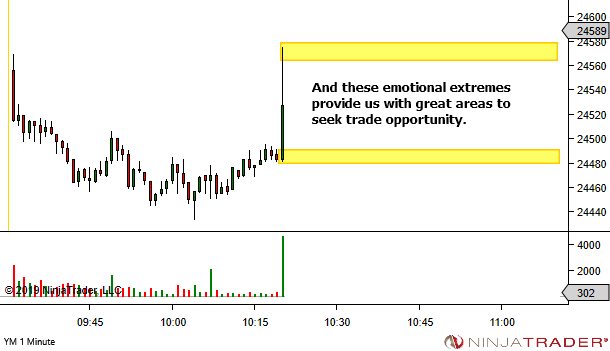 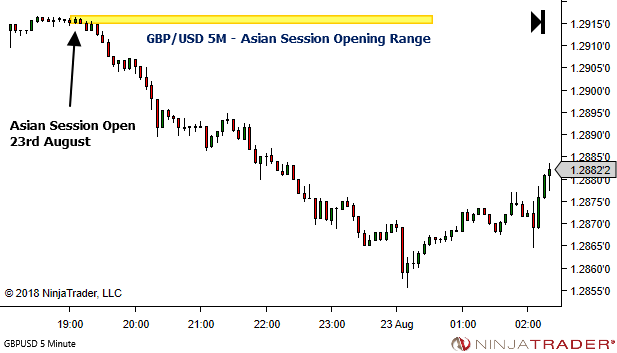 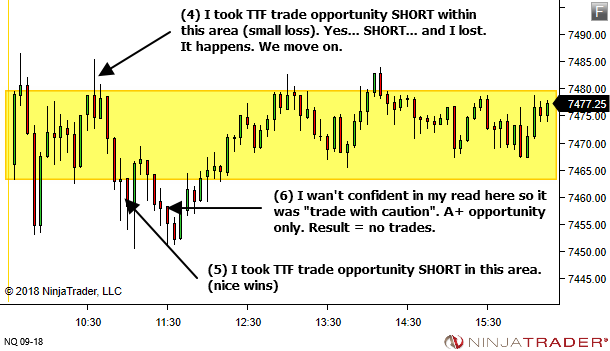 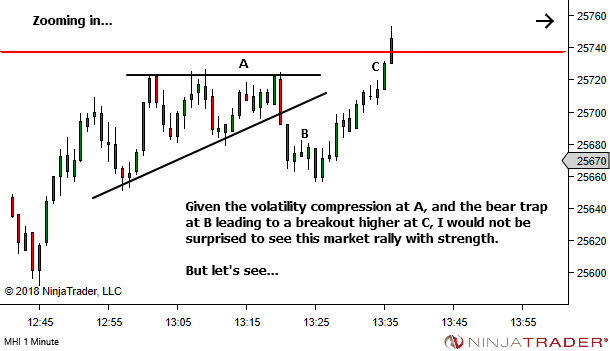 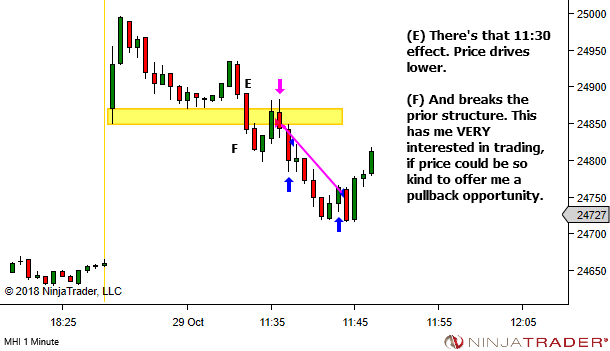 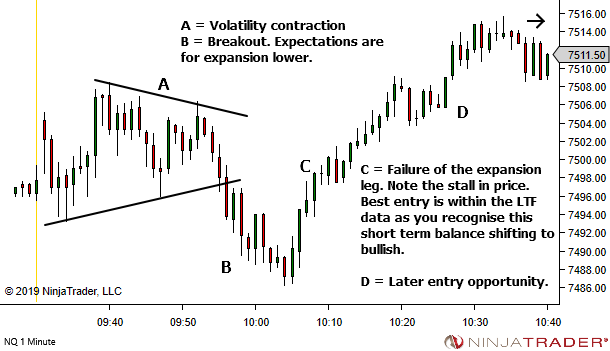 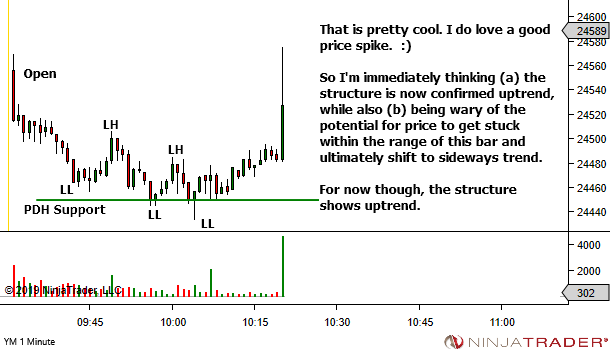 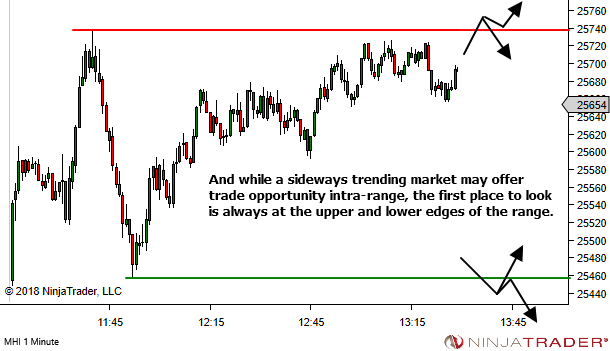 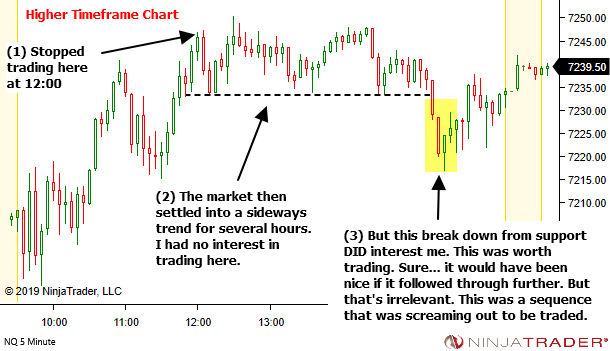 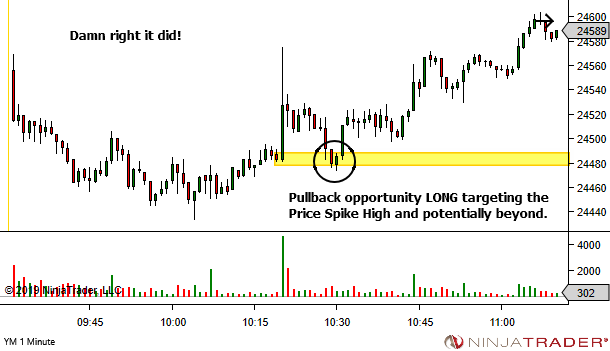 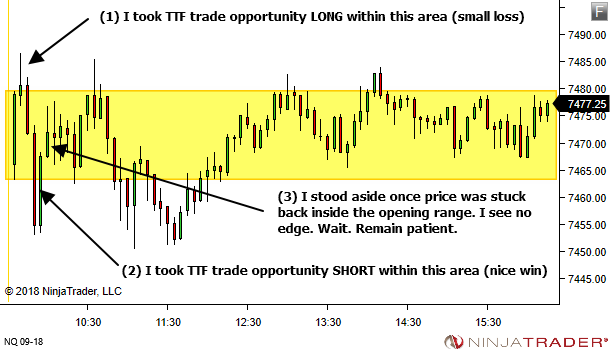 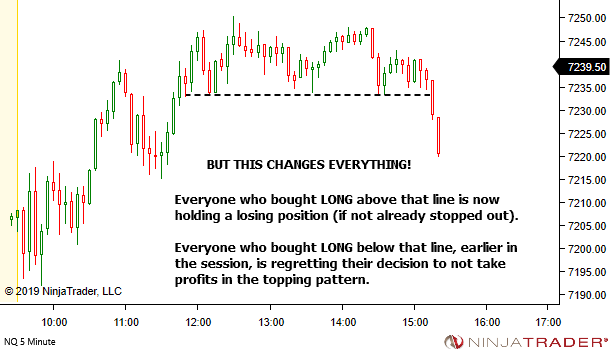 So yes… the opening range concept can be applied to 24 hour markets.